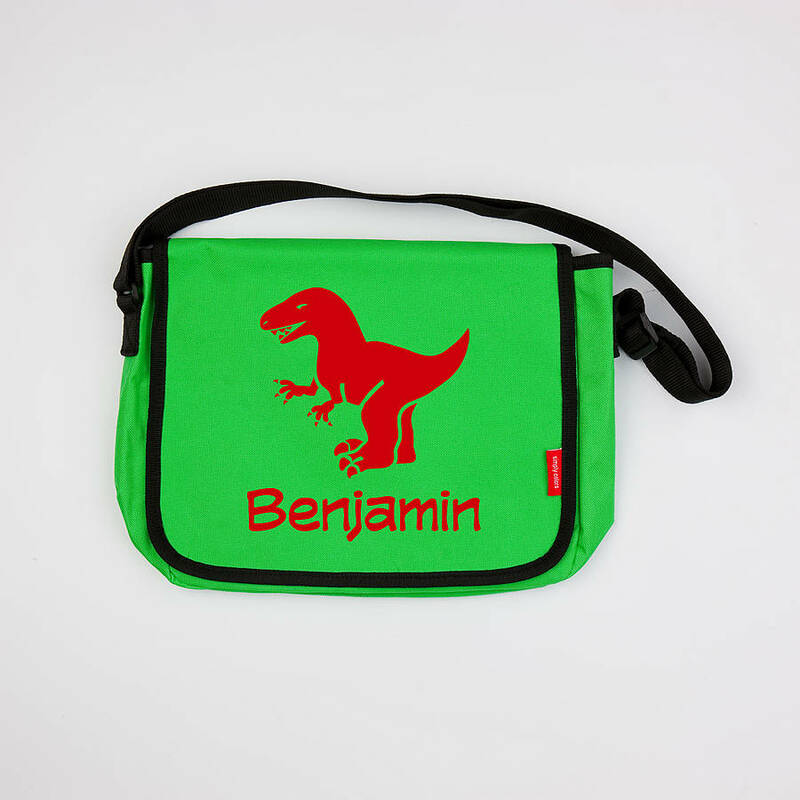 Our superb quality messenger bags can be personalised with your child's name, making them a really fun dinosaur bag that all children love. Don’t be extinct in the playground! 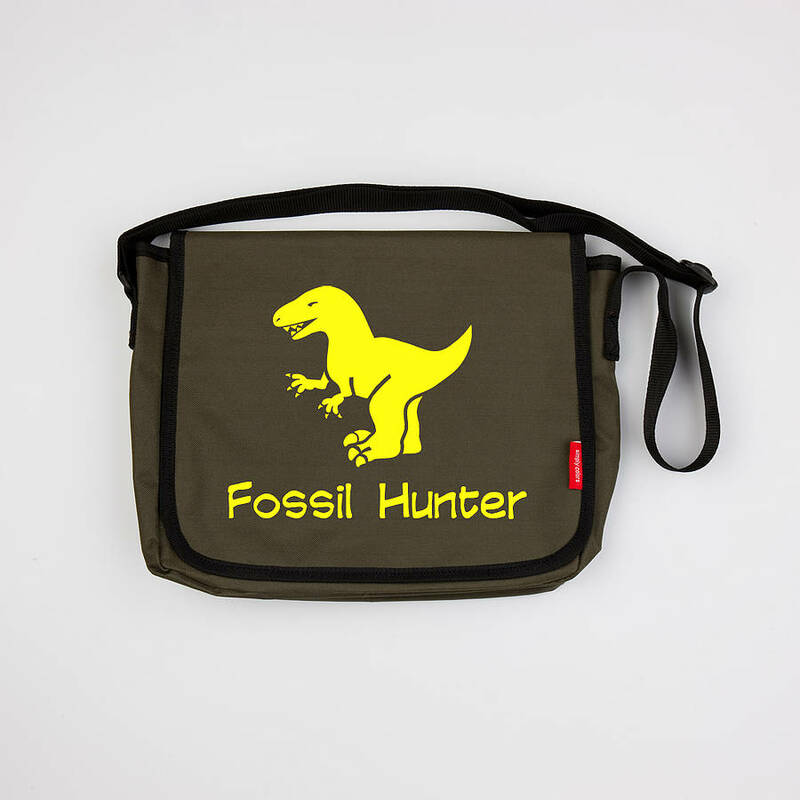 These messenger bags are perfect for children of all sizes that want a bit more of a bite with their bag! 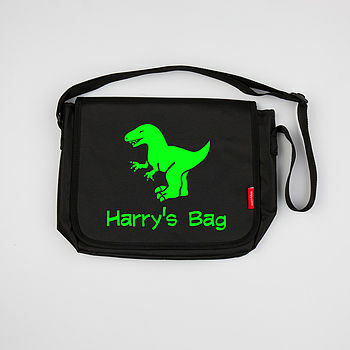 Select your dinosaur bag from one of our 7 colours: Light Pink/Army Green trim, Army Green/Black trim, Green/Black trim, Red/Army Green trim, Aqua/Army Green trim, Pink/Army Green trim & Black/Black trim. 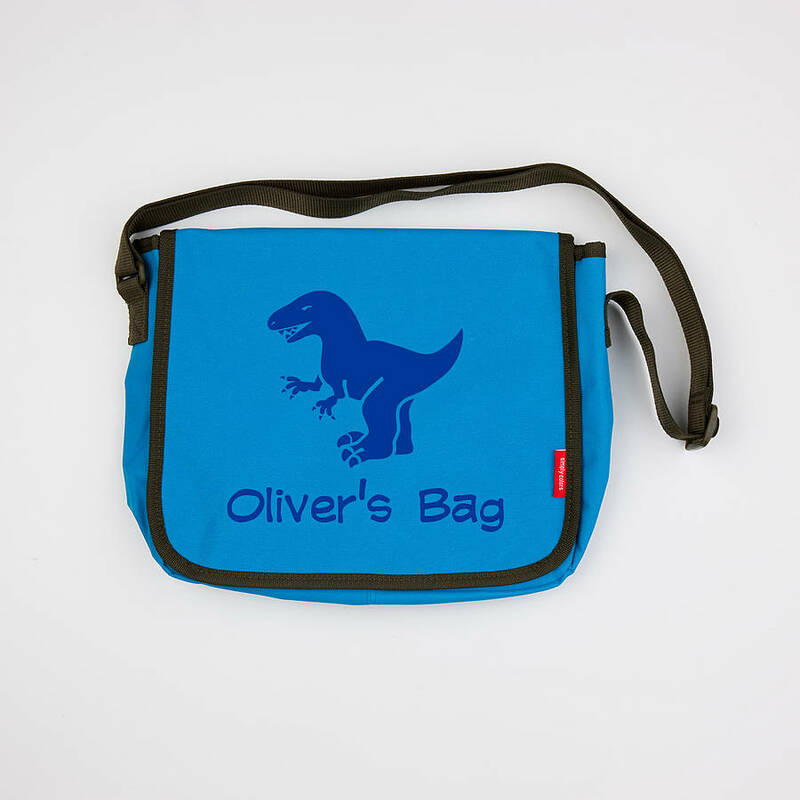 Our small and medium bags are great for toddlers and/or Pre-Schooler's to easily recognise their own bag. 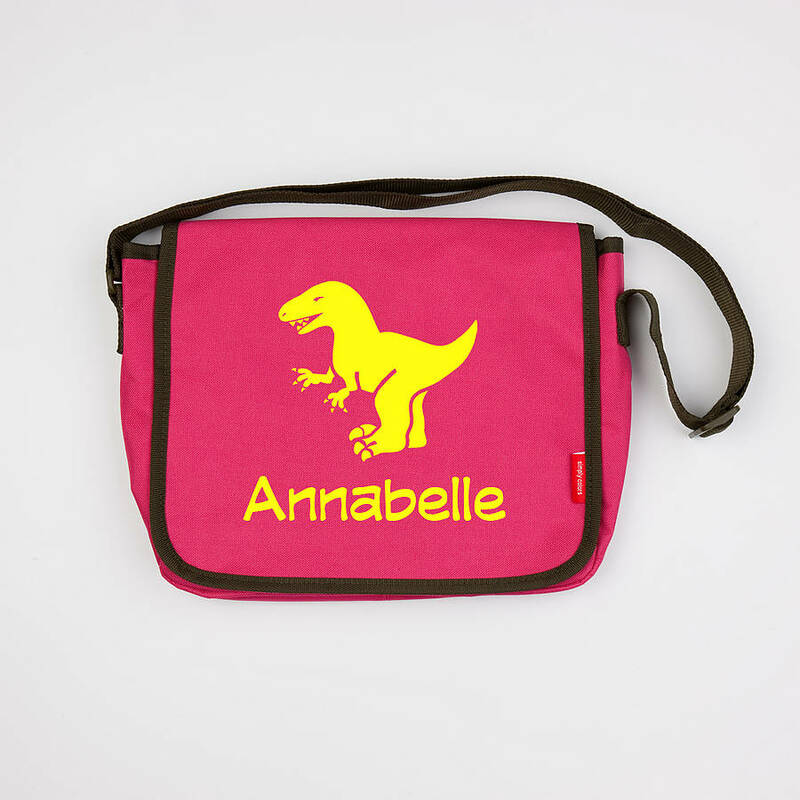 The larger sizes are perfect for older children as school / gym kit bags. Please see dimensions below if you're unsure. 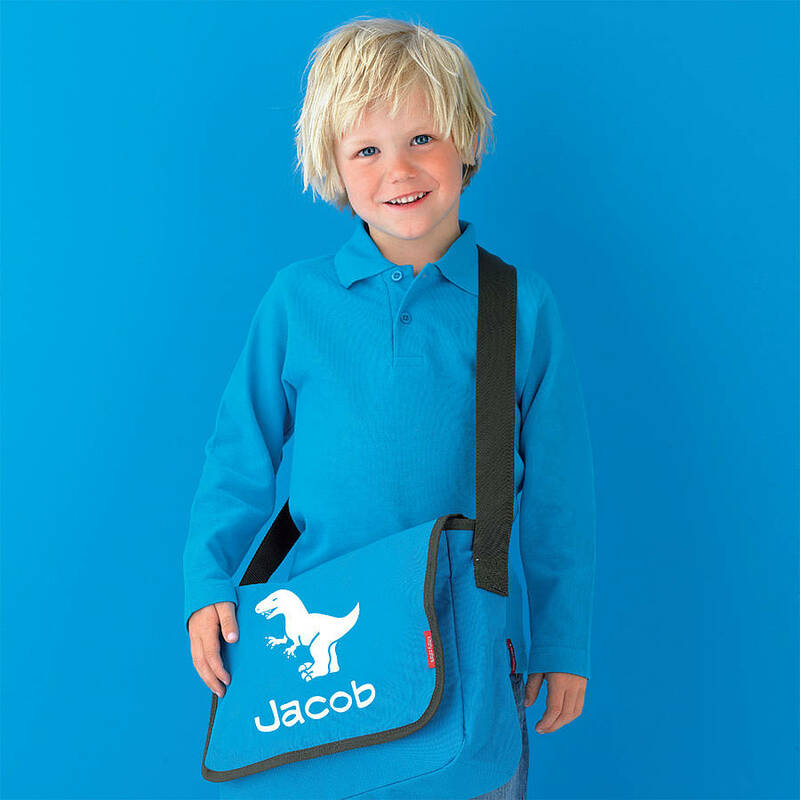 The bags have an adjustable strap and two zip pockets, one on the back and one inside, the front flap is secured by velcro fastenings. 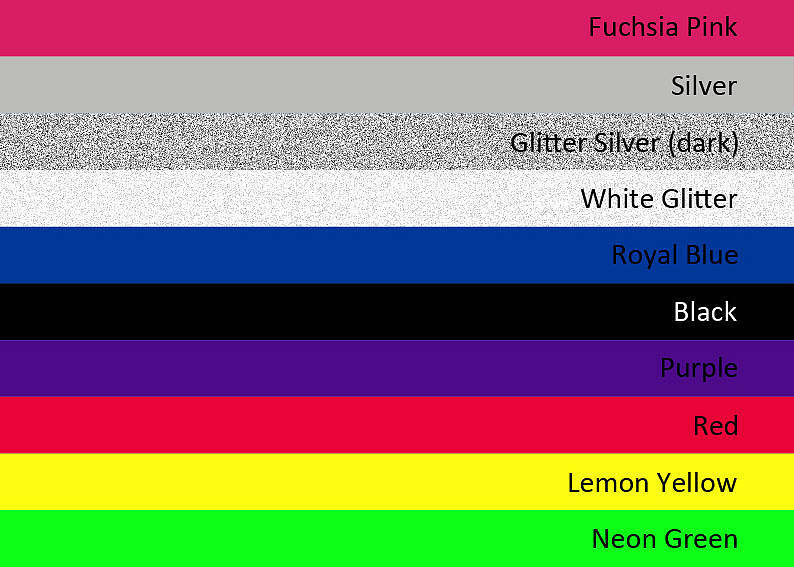 Made from 600D polyester, with lining. They are water resistant. The messenger bags can be wiped with a damp cloth to remove any small marks and can be washed on a cool setting but not tumble diyed. We would recommend washing the bags only a couple of times to preserve the print. 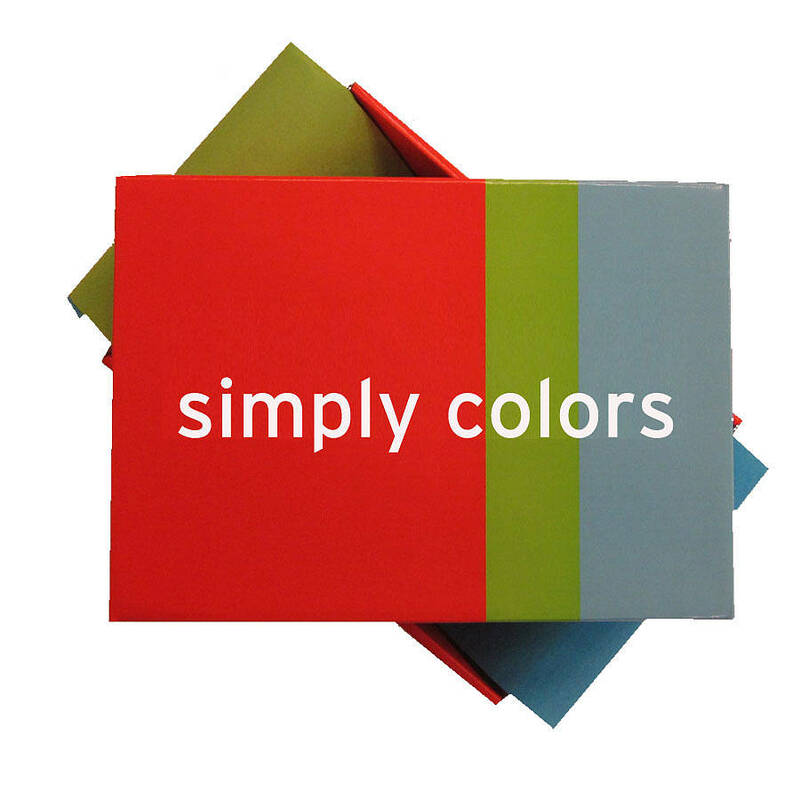 Small: 23 x 22 x 7 cm they will fit a sandwich, snack and a small drink or a few toys and small books. 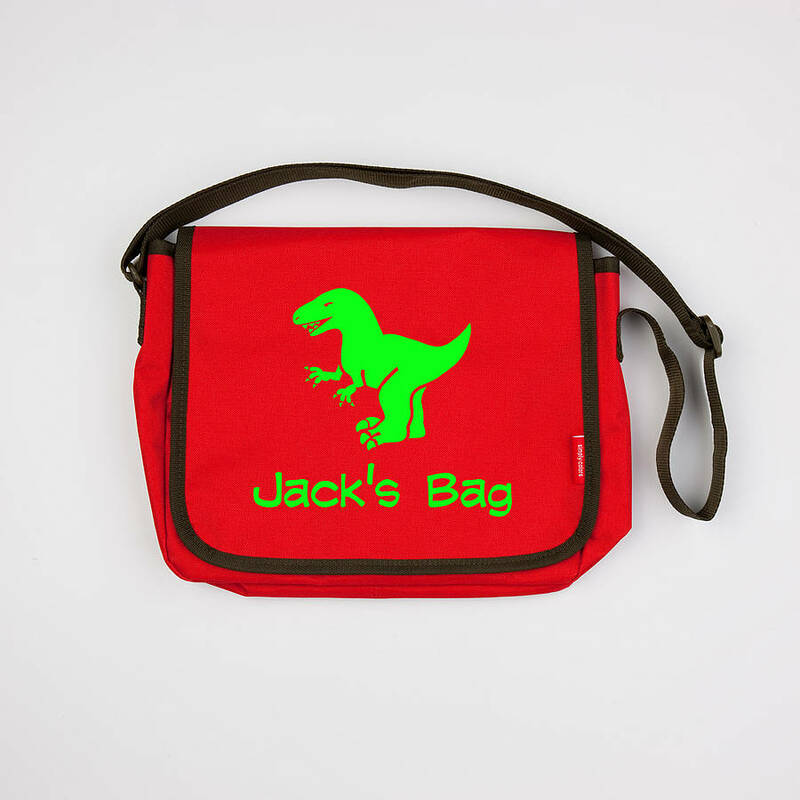 Medium: 32 x 26 x 9 cm great as a book bag, they will fit one A4 book and other school accessories, they are also perfect for a gym kit. 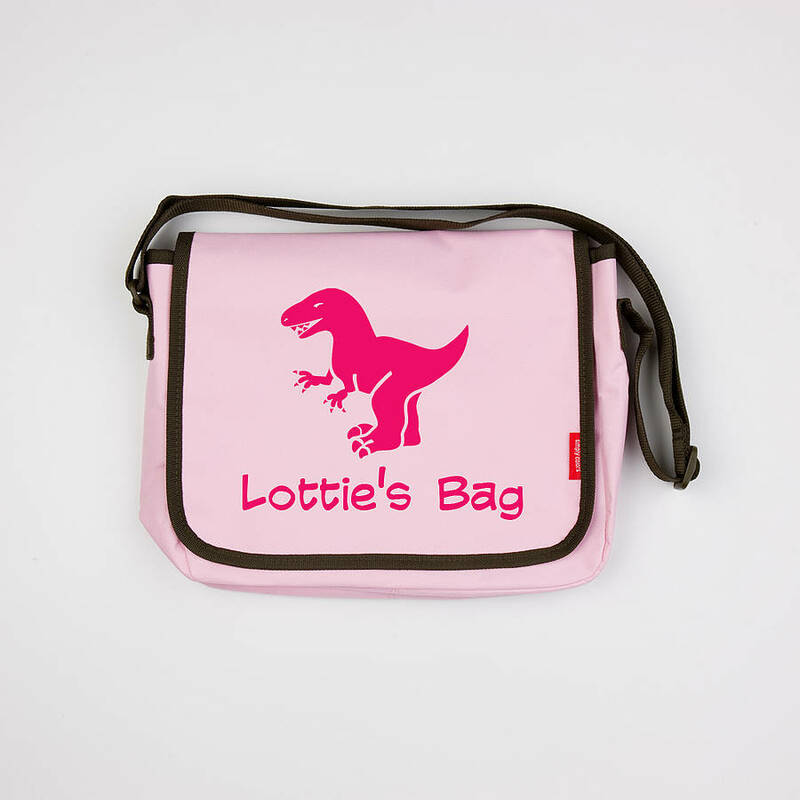 Large: 41 x 31 x 12 cm great for kids at senior school & who need to carry lots of books and homework, they also make a really cool sleepover bag.